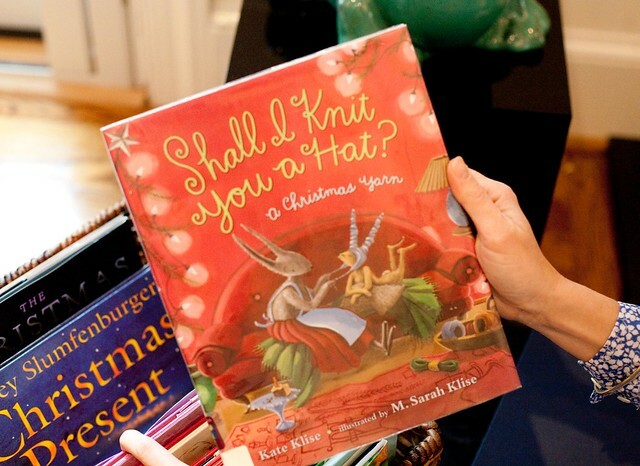 To say Melissa LaSalle is obsessed with quality children’s literature is an understatement – she’s the first to admit that her passion exceeds all bounds. 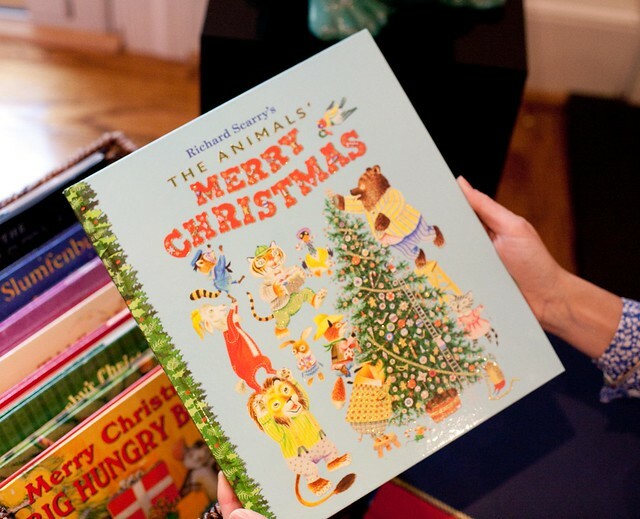 For 10 years, Melissa bought and sold books for a popular children’s book store in Chicago called The Red Balloon. 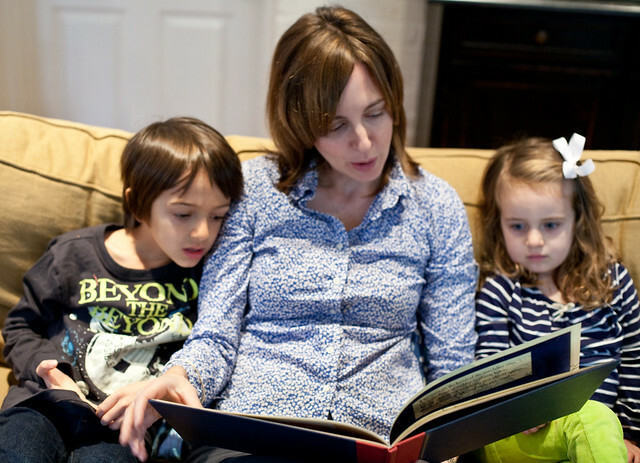 When she moved to Alexandria with her husband and their two young children, she started a blog called What to Read to Your Kids that is exclusively devoted to critiques of new and treasured children’s books, as well as recommendations for all ages. 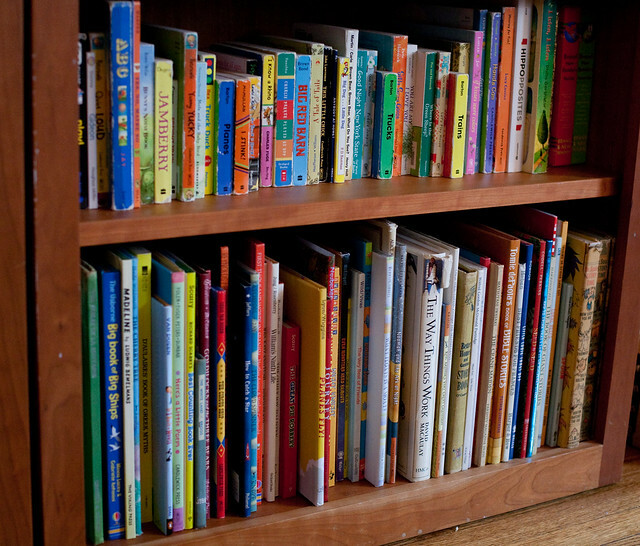 Melissa also helps curate the library of her children’s school. 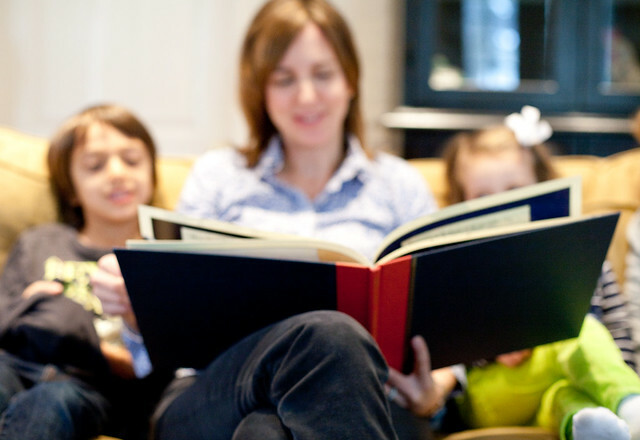 I stopped by Melissa’s home recently so we could talk about how she nurtures a love for books and reading with her children on a day-to-day basis. Melissa’s son JP just started reading by himself, in earnest, and Melissa says he often has his head buried in a book for hours at a time. Which makes her even more determined to expose him to books that are engaging, clever, inspiring, and never ever mediocre. 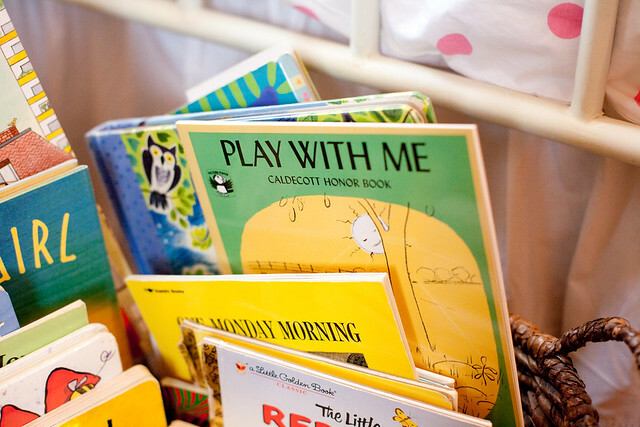 Melissa recommends several ways to incorporate books into one’s home decor, so that they circulate freely during play and offer plenty of opportunities for read-aloud time. 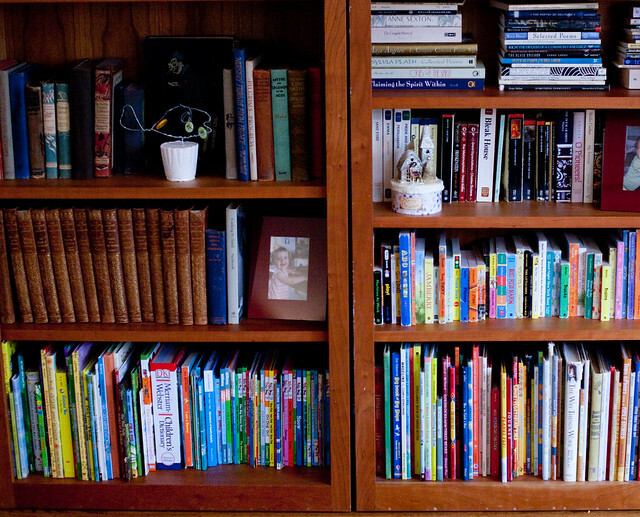 Devote entire shelves to children’s books. 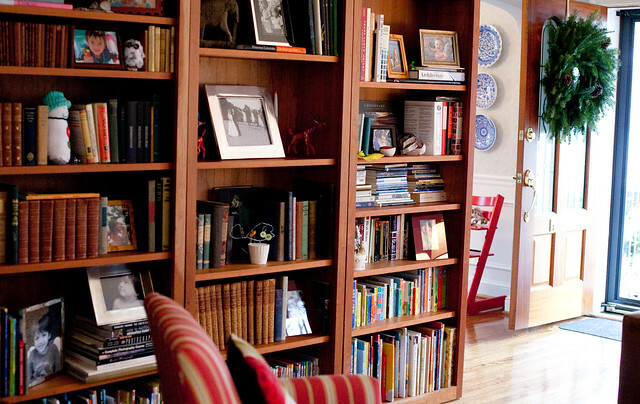 On the floor-to-ceiling book shelves in Melissa’s living room, she dedicates the bottom two shelves to picture and board books. 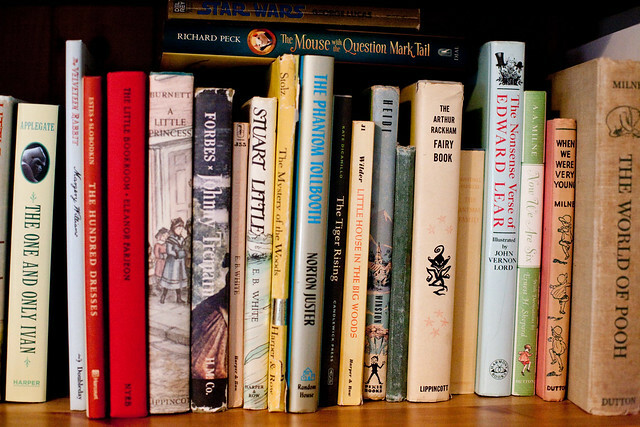 She says it doesn’t matter if they’re ordered by theme or author, just that they’re well-written and illustrated, and of course, within reach. 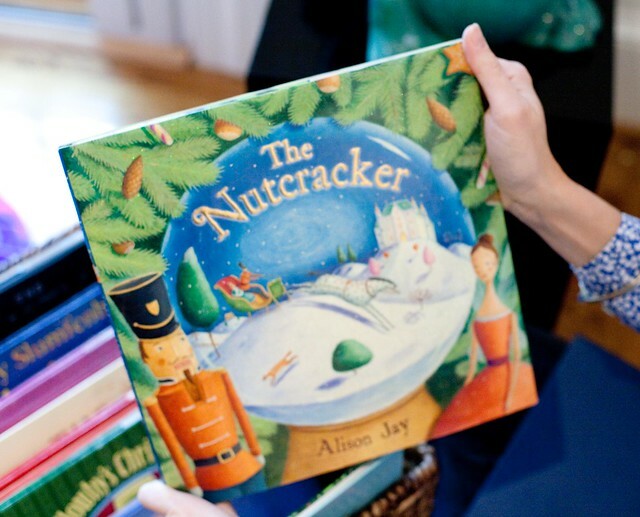 She finds that her kids pull out these books and use them in pretend play or look at them quietly alone. 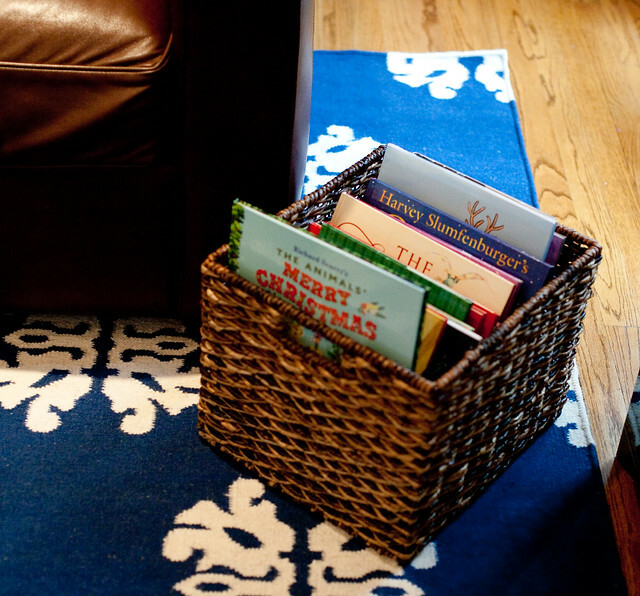 Set out baskets filled with books in different rooms of the house. 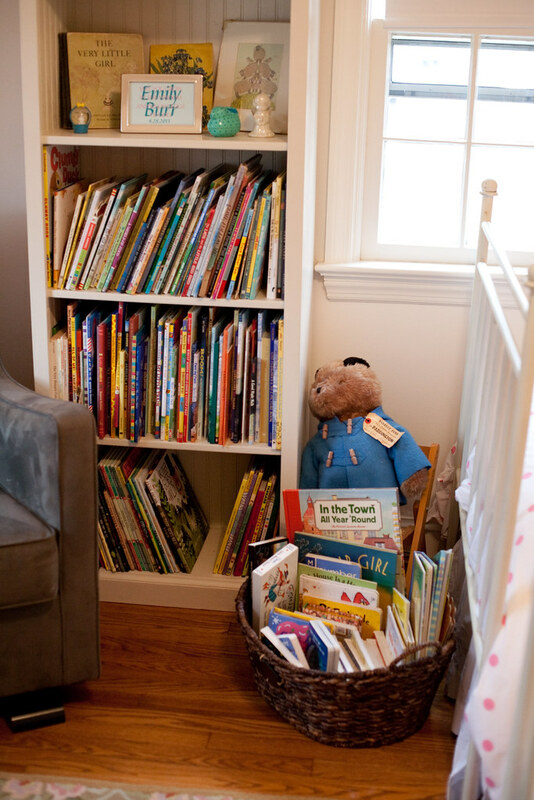 Melissa likes to give her kids a chance to find books in every room. 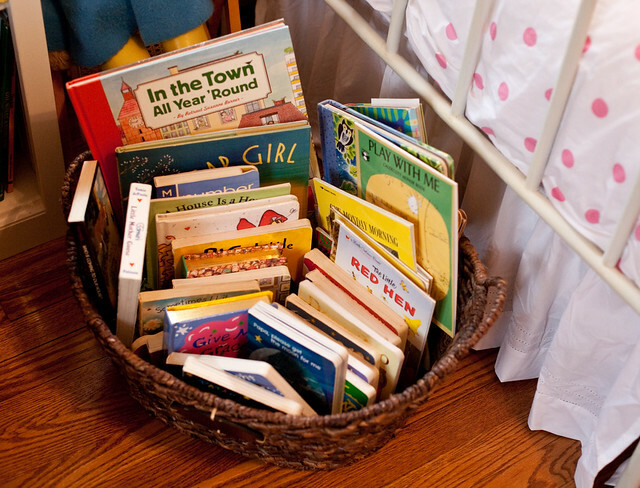 Keeping books in baskets is handy way to keep track of library books and a means for rotating books from the bookshelves, so kids are likely to reach for them while playing. She does the same in the children’s rooms where she also makes the kids’ bookshelves a prominent feature. Purge and rotate books every so often. Melissa makes a point of going through her books every so often and pulling out titles that no longer resonate with her kids. She donates those books to the public library. Sometimes, she puts a selection of titles away in a storage box. Then, later, when she rotates them back in, the kids are delighted to see the new choices. 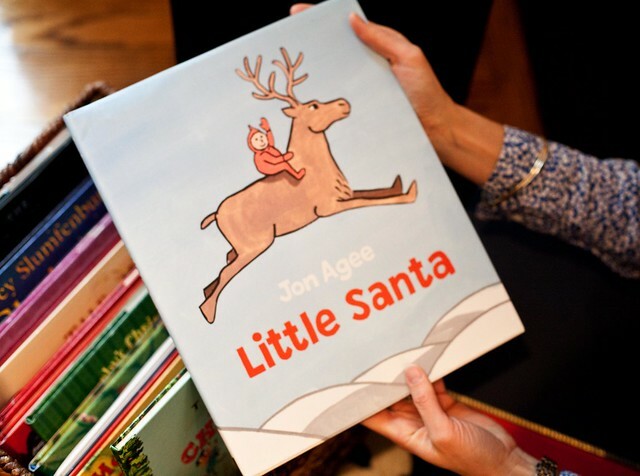 Keep a selection of seasonal books out for read-aloud time. 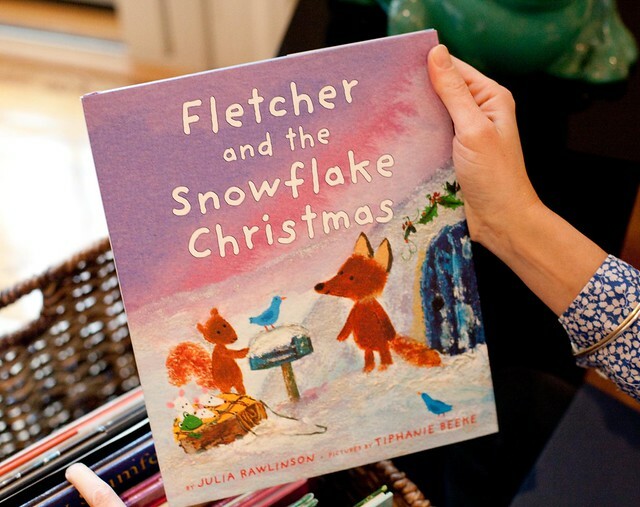 Melissa keeps seasonal books in a special basket that her kids will reach for especially for read-aloud time. And while we’re on the subject, here are some of Melissa’s recommended holiday picks this year. I can’t help but quote her from her blog because I couldn’t express better than she does just how much all books, and holiday books especially, mean to her and her kids. For more about each of these titles and why Melissa likes them in particular, I’d recommend her “What Was Santa Like as a Kid” post. For more of Melissa’s gift recommendations, such as good bedtime reads and choices for the animal lover, artist, and adventure seeker, see this series of posts. Melissa offers her expertise to families by appointment. She can help you purge your book collection, and offer suggestions of titles for readers of all levels and ages. You can email Melissa to learn more. 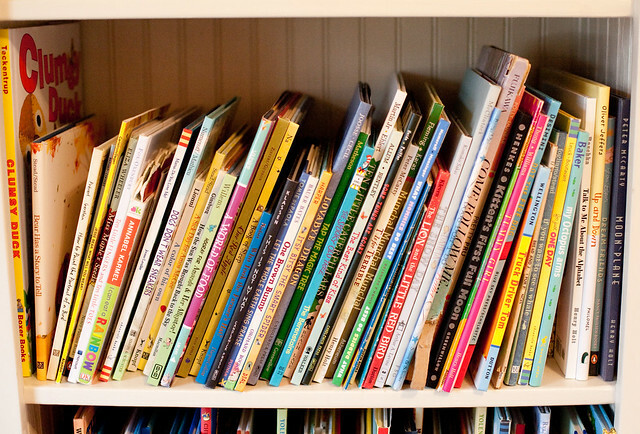 In addition to her blog, you can follow her What to Read to Kids page on FaceBook.